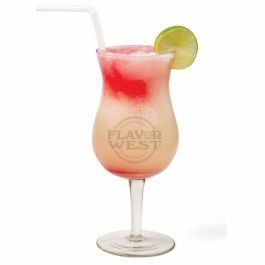 Happy hour flavor profile is a combination of your delicious strawberry margarita and pina colada happy hour dinks. Just as the name implies, this flavoring brings its distinct taste uniqueness in all treats. Type: Happy Hour Water Soluble Flavoring. Ingredients: Natural and Artificial Flavoring, Propylene Glycol and Ethanol. USP Kosher Grade Flavoring. Usage Rate: 15-20% for E-use. Flavor Suitability: Drinks and beverages, smoothie, desserts, pastries, baked treats and more. Specific Gravity: 1.02 No Refunds on Flavoring.